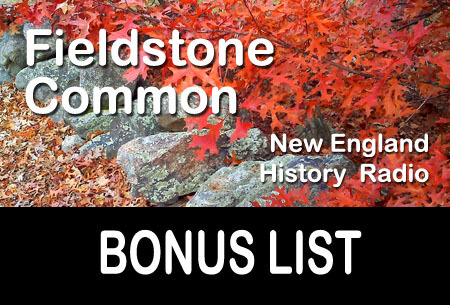 Following are some items that were mentioned during the 21 February 2013 Fieldstone Common interview with James Clark, author of Connecticut’s Fife & Drum Tradition. James Clark belongs to a fife and drum band called Connecticut Valley Field Music. You can learn more about the band at their website. Visit their Facebook page to see lots of photos of the band in action and to hear a sample of their music. The book Connecticut’s Fife & Drum Tradition, published by Wesleyan University Press, is available for purchase from major books sellers online and off such as Amazon.com. Here is a list of fife and drum corps in the United States, predominantly from the east coast. Another page on the same site provides a schedule (with links) to a number of 2013 fife and drum musters. 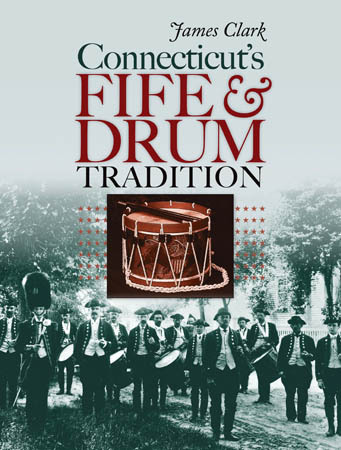 Wesleyan University Press, the publisher of Connecticut’s Fife & Drum Tradition, donated a copy of the book which was given as “door prize” during the live show to a listener in Texas. A big thank you to Wesleyan University Press for their generosity! 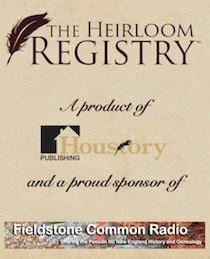 This week on Fieldstone Common, Marian Pierre-Louis interviews James Clark, author of Connecticut’s Fife & Drum Tradition. The state of Connecticut boasts an extensive and active community of fife and drum groups. This musical tradition has its origins in the small military bands maintained by standing armies in Britain and Europe in the seventeenth and eighteenth centuries—the drum was especially important as it helped officers train soldiers how to march, and was also used to communicate with troops across battlefields. Today fifers and drummers gather at conventions called “musters,” which may include a parade and concerts featuring the various participating corps. According to the Guinness Book of World Records, the largest muster ever was held in Deep River, Connecticut, in 1976. Musician and historian James Clark is the first to detail the colorful history of this unique music. This engaging book leads the reader through the history of the individual instruments and tells the story of this classic folk tradition through anecdotes, biographies, photographs, and musical examples. 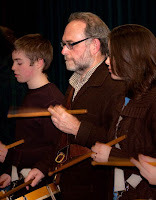 JAMES CLARK is a founding member of the Connecticut Valley Field Music, a fife and drum band based in Middletown, Connecticut. A true advocate of this music, Clark gives lectures and demonstrations to a wide array of audiences around the state, across the nation, and in Europe.